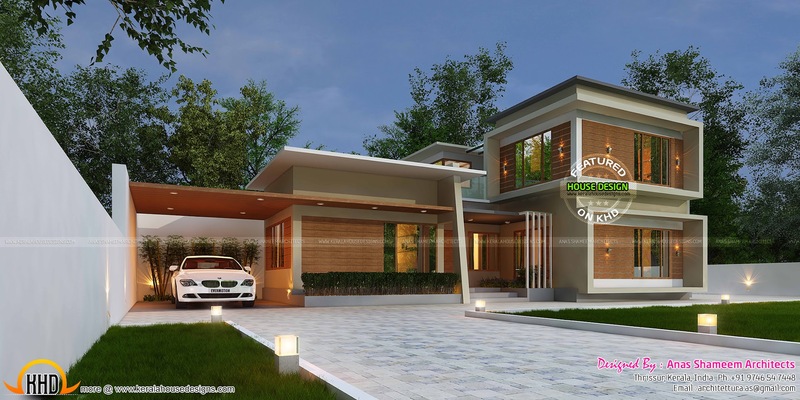 Pure contemporary home in 3420 Square Feet (318 Square Meter) (380 Square yards) with 4 bedrooms attached. 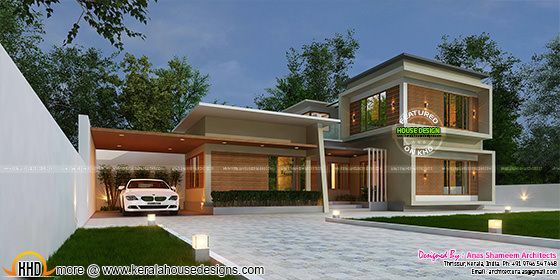 Design provided by Anas Shameem Architects, Thrissur, Kerala. First floor : 960 Sq. Ft. Car porch : 260 Sq. Ft.
Total area : 3420 Sq. Ft.
0 comments on "3420 sq-ft true contemporary home"